Since 1982, Premium Wood Products, Inc., located in DeKalb, Illinois, has been a quality source for custom wood specialties, wholesale wood cabinets, and engineered wood products. We listen intently, we get projects done expertly, and we deliver long lasting quality. Our imaginative custom wood designs are done in house or we can work from your concept. Either way, each finished piece is unique and will reflect your style. Whether it is the craftsmanship, joinery, structural stability or the outstanding finish, our custom wood products are built to last. Besides machining solid hardwoods, we can process any kind of panel material. We can hold strict tolerances. Plus or minus 1/64 is typical in our industry. Our 40,000 square foot manufacturing facility utilizes state-of-the-art woodworking machinery and processes. Using current technology helps us build value into each custom wood product we make. We use exceptional modeling software for three-dimensional layouts that let you visualize the final cabinet design. We never want to hear a customer say, “I wish I had done that”. High-end optimizing software helps maximize component yield thus lowering your costs. Our cabinets are designed to completely fill and maximize all usable space. The use of filler strips is avoided at all times. We ship directly from the Premium Wood Products factory floor to achieve wholesale prices. The middleman is taken completely out of the picture. At Premium Wood Products we believe in user friendly, total service from initial discussions and concepts to final delivery and installation. Buy with confidence; we are here to support you. The mission of Premium Wood Products, Inc. is to provide a full range of custom wood products and services to customers located throughout the United States. As a one stop shop we are committed to delivering the complete original design and manufacturing solutions necessary to ensure total customer satisfaction. 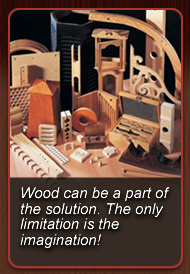 Every employee of Premium Wood Products, Inc. understands that our mission can only be achieved by making total customer satisfaction the company’s #1 goal. Our commitment to the customer lays the groundwork for our growth through continuous improvement and ensures the continued success of Premium Wood Products, Inc.
For custom wood specialties, look to Premium Wood Products. 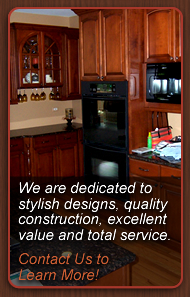 Contact us for information regarding do-it-yourself cabinetry and custom wood cabinets and products.